BBC Radio 4 regular Susan Calman joins Big Comedy Gala celebrity line-up! 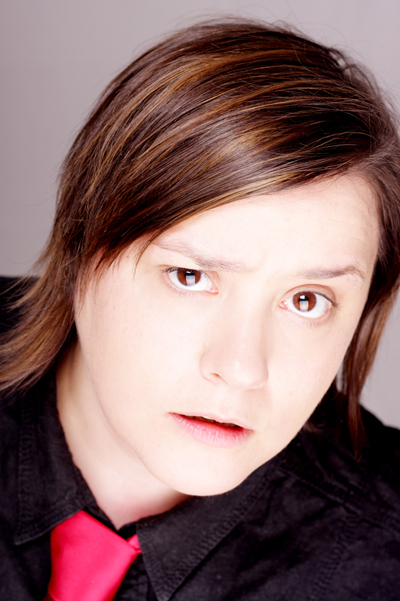 Susan Calman, the star of Rab C Nesbitt, BBC Three’s Dead Boss, Have I Got News For You, and Channel 4’s Ugly Kid, as well as being a regular on Radio 4 (The News Quiz, The Unbelievable Truth, Vote Now) and Radio Scotland (Funny Friends), today announces she’s joining the all-star line-up at the 2012 Big Comedy Gala in aid of Macmillan Cancer Support. From Glasgow, Calman gave up a lucrative career in corporate law to become a comedian and has proved herself one of the fastest rising stars in comedy. She reached the semi-finals of the BBC New Comedy Awards and So You Think You’re Funny in 2005, she was also a finalist in Funny Women in 2006. The feisty Glaswegian went on to become resident compere at Glasgow’s famous comedy club, The Stand, and has been awarded Best New Comedian at the Scottish Variety Awards as well as a Scottish BAFTA. Calman will join a star-studded line-up at the Macmillan fundraiser, including: Roy Walker (host), George Wendt, Nick Helm, Nina Conti, Tom Stade, Fascinating Aida, Joe Lycett, Dan Nightingale, Steve Shanyaski and The Boy with Tape on his Face. For more information, interview requests or images, please contact Miriam Attwood on 07825 642225 or email press@bigcomedygala.com. You can also find the Big C on Twitter (@bigcomedygala), and Facebook (facebook.com/bigcomedygala or search for big comedy gala). The Big Comedy Gala in Aid of Macmillan Cancer Support, Monday 13 August 2012, at 21:30 (2hrs). Box Office: 0844 847 1639 or 0131 226 0000. Buy online: www.venue150.com or www.edfringe.com / www.bigcomedygala.com. Tickets: £22 (subject to booking fee of £2 to £2.40 per ticket + postage). The Big Comedy Gala in aid of Macmillan Cancer Support is in its second year. The sell-out 2011 event raised £18,433.08 for Macmillan Cancer Support and featured Ed Byrne, Rich Fulcher, Fred MacAulay, Sarah Millican, Danny Bhoy, Frisky & Mannish and Roy Walker. This entry was posted in Latest Big C News and tagged BBC Three, Big C, big comedy gala, Channel 4, Comedy, Dan Nightingale, Dead Boss, Edinburgh Festival Fringe, EICC, Fascinating Aida, Frisky and Mannish, Funny Friends, George Wendt, Have I Got News For You, Joe Lycett, Macmillan, Macmillan Cancer Support, Nick Helm, Nina Conti, Rab C Nesbitt, Radio Scotland, Roy Walker, Steve Shanyaski, Susan Calman, The Big C, The Big Comedy Gala, the boy with tape on his face, The Fringe, The News Quiz, The Unbelievable Truth, Tom Stade, Ugly Kid, Venue150, Vote Now by bigcomedygala. Bookmark the permalink.